Campus Career Fair season is upon us. Organizations and executives have purposely chosen your University and are eager to meet the best and brightest future talent they have to offer! 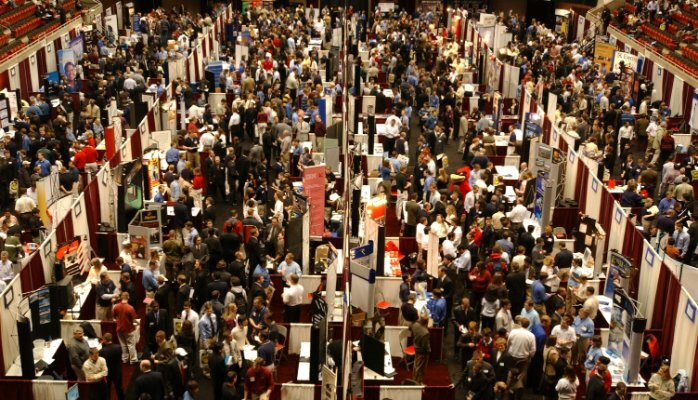 Most college students, especially those who haven’t attended many career fairs or any at all, view the prospect of attending a job fair as overwhelming. How can you effectively navigate this scene where a mass of candidates are clamoring for attention? Research – Before the event, review who will be in attendance and create a focused plan on who you want to meet. Spend some time researching each of these companies’ prior to the event and develop questions you would like answered. The representatives will be impressed if you have done research AND want to know more and have specific questions. I promise you it will be a refreshing change for them and you will be remembered post event. Have a Game Plan – If your schedule allows, you may find it easiest to start with the employers in which you’re less interested. This will allow you to hone your approach and to be most confident when you approach the employers you’re especially excited about. However, be sure to balance this approach with the reality that many other students may be interested in the same employers you are. Assume that you will need to wait to speak with some employers and be mindful of time spent with companies you are less interested in. Prepare – Create your career “pitch” to use when you introduce yourself to the representative. This can be a simple “hello”, state your name, major and why you are excited to meet someone from their company. Be prepared to talk about your academic career and what your post collage career goals are. Also have your resume printed and ready to present. Appearance – First impressions are important. Come to the career dressed appropriately. This does not mean you have to have on a suit or dress. However, campus attire may be to the opposite extreme. Business Casual is your best bet. You will be more comfortable and it is perfectly acceptable for the occasion. Follow up – Ask the representative for their business card and if they are all out you can write down their name and email. Follow up with a “Thank you “ email with your resume attached ( even if you gave them a hard copy). Your email should ask how to apply for the intern program or full-time roles. You may also send them a LinkedIn request. Be a brand ambassador for your school – In addition to representing yourself, you also represent your University! All of the organizations at the fair are there because of their interest in hiring students from your school. Come prepared, behave professionally and be sensitive to other students waiting to speak with employers by keeping your questions concise and offering to follow up via email. These actions will speak volumes about your University as well as yourself! 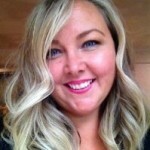 Shelli Gutholm is the Vice President – Global Talent Acquisition for Dentsu Aegis Network, a conglomerate of nine global media, digital and creative communications brands – operating in 123 countries worldwide with over 27,000 dedicated specialists. Shelli’s executive career also includes Director-level assignments with both Dentsu and MarketPro. Follow her on Twitter. Previous Where Have All the True Leaders Gone?